By Mark Petrie, Paralegal/Marketing Coordinator and David Swedelson, Partner, SwedelsonGottlieb, Community Association Attorneys. New legislation amending two of the transfer disclosure sections of the Davis-Stirling Act, Sections 4528 and 4530, will be effective January 1, 2015. Follow this link to review the changes and new language that will be effective next year. 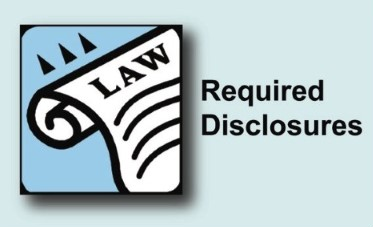 As you may be aware, Section 4530 establishes the responsibility of an association to provide copies of governing documents, certain financial disclosures and other documents to an owner, or any other recipient authorized by the owner, within 10 days of receipt of a written request for same. The requirement to provide documents and information applies to the sale of a unit (in a condominium building), lot (in a planned development) or stock (in a co-op). We would have liked to have seen a change here to delete “any other recipient authorized by owner”, as there are issues raised by the association providing transfer disclosure documents directly to parties other than owners, e.g., the association has no privity of contract with those parties. But for now, the current language will remain. Thankfully, the new legislation does clarify that the association may collect a reasonable fee from the seller based upon the association’s actual cost to provide the documents. This strengthens the association’s position to demand that the selling owner must provide payment prior to actually providing the hard copy documents pursuant to subsection (a)(3). However, timing is important. Subsection (b)(2) requires that the association shall provide the written estimate of fees for providing the requested documents upon receipt of the written request, i.e., immediately. The new legislation further clarifies that the estimate must be sent prior to processing the request. Unfortunately, we are still left wondering to what extent a court would find that the 10-day window in which the request must be fulfilled would be extended by a seller’s failure to pay the estimated fees. Boards may still have to weigh this risk against the risk that an owner will not pay the fees. Another important change to note is that clarification was added to state that transfer disclosure fees must be separately stated and separately billed from all other fees, fines or assessments billed as part of the transaction. If sent by mail, this would mean mailed separately as well. Also, bundling of transfer disclosure documents with any other documents is prohibited – keep them separate. An additional plus is the following language from subsection (b)(8): “It is the responsibility of the seller to compensate the association, person or entity that provides the documents…” This allows the association to ask the seller to pay the association’s managing agent directly for the estimated fees. Finally, note that the Section 4525 disclosure form, the format of which is determined by Section 4528, will only change slightly with the following to be included at the top of the rightmost column: “Not Available (N/A), Not Applicable (N/App), or Directly Provided by Seller and confirmed in writing by Seller as a current document (DP)” We are not providing a revised form for download at this time because we don’t want anyone accidentally utilizing the incorrect form prior to January 1, 2015, when the revised law becomes effective. We will have a revised form available in January 2015. Have questions about transfer disclosures? Send them to info@sghoalaw.com.